Our last two shows took us to Chicago, Illinois and and Milwaukee, Wisconsin. This was our second time exhibiting at Old Town in Chicago and our third time at Lakefront Festival of Arts in Milwaukee. For Old Town Art Festival, Tom and I get up at 4:30 a.m. Saturday and dolly our booth to the spot assigned to us. It is about 4 to 5 blocks from our trailer to the booth spot; a good workout to start off the day! The Old Town Art Festival celebrated its 67th year on the charming, tree-lined streets. There were 250 nationally acclaimed artists and an estimated 30,000 art lovers. After Old Town Art Festival, we did Lakefront Festival of the Arts in Milwaukee, Wisconsin. This art festival is local for us and is rated in the top 20 in the nation. For over 50 years, the Lakefront Festival of Art has been brought art to Milwaukee's lakefront. This art festival also estimates 30,000 attendees and over 170 jury-selected artists. Thank you Chicago and Milwaukee for supporting Thomas William Furniture! Our next two shows we head east, Central Pennsylvania Art Festival, State College, Pennsylvania and The Original, Ann Arbor, Michigan. For more information on each, click here Central PA Art Festival and click here for The Original. 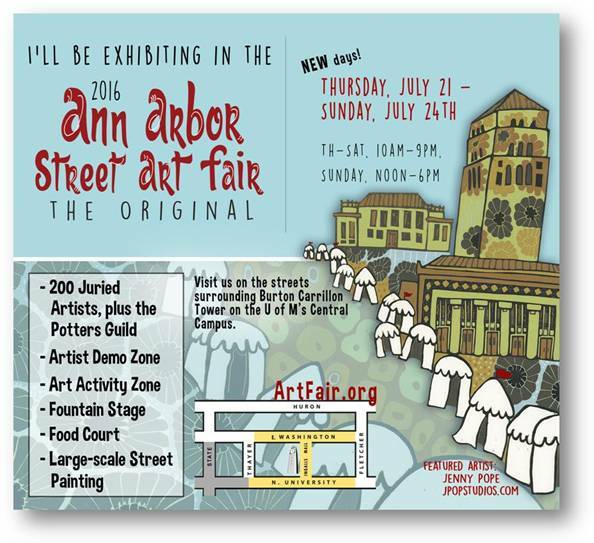 The 2016 art fair schedule is current. We are headed east to Central Pennsylvania Art Festival, State College, Pennsylvania and then to The Original, Ann Arbor, Michigan. Every piece is built by Tom. His aim has been, and continues to be, to create the highest quality individually built furniture to suit your specific needs. Toward that end, he uses the best wood available and time honored joinery techniques. 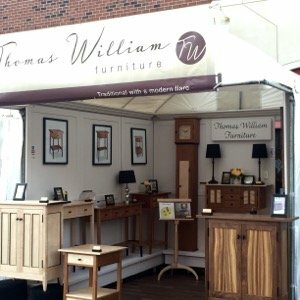 When you invest in Tom's furniture, you get the benefit of over three decades of experience in joinery, wood technology, restoration, design, technical perfection, and meticulous craftsmanship. 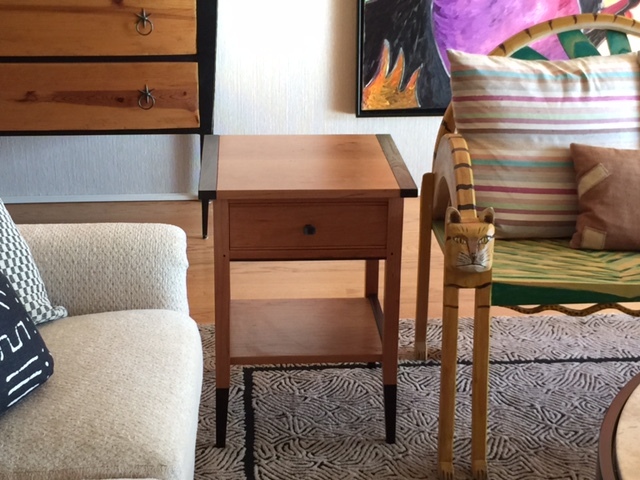 You get furniture to enjoy for life, built by someone who really understands wood. As one client put it: "Your craftsmanship is incredible and beautiful... so exacting." Certainly his prices can't compete with mass produced, factory-made furniture. Production shops deal with the average needs of the average consumer. He constructs each piece individually, taking as much time as he needs to achieve perfection. Upon purchase, he signs and date each piece. Click here to start your savings.